It is good to be in Easter. The journey from Ash Wednesday to Easter Day is always one that makes its length felt. It is also a period that, if you give it the time and effort that it deserves, always brings growth to your relationship with God. I hope many of you have come out of Lent having taken the opportunity of a Lent course or similar Bible Study and prayer group, and that the experience helped you in your experience of Holy Week and Easter Sunday. But now we are here in Easter, where do we go next? Lent was a time of self-discipline and self-examination. Easter is a time of celebration, but that does not mean we should let go of what we have learnt about ourselves: rather, we should now be examining what all of it means in the light of Easter, because Easter is really the game-changer of all that we celebrate in Christianity. A topsy-turvy God who not only became human in the Nativity, taking on our frailty, but who also shows his love for us in willingly giving up all glory to die a horrific and humiliating death. Then, through that awful death, shows himself as all-powerful by making it his triumph. What did you do during Lent? Lectio Divina or Compline? Glenfall or the Cathedral? Something completely different? Deacon Jennifer would be delighted to receive some feedback, by phone (700128) or by email. ‘I am a second year Reader-in-Training on the West of England Ministerial Training Course (WEMTC) at the University of Gloucestershire. I usually worship at St Barnabas’ Church in West Cheltenham, together with my wife Sue. We have three grown-up children and three grandchildren. The Revd Katie McClure, Chaplain for Gloucestershire Hospitals NHS Foundation Trust, will preach at St Mary’s Parish Eucharist on Sunday 15th May. The aim is to meet a representative of the chaplaincy team, which is part of the wider picture of ministry in North Cheltenham, so do go and say hello to Katie and ask her anything you like. The Annual Meeting of Parishioners and the Annual Parochial Church Meeting were held at St Nicolas’ Church on 3rd April 2011 and attended by forty parishioners this year, with another eleven sending their apologies for absence. With responsibility for St Nicolas’ – Margaret Compton. There were no nominations for the other vacancy, so that position remains unfilled. 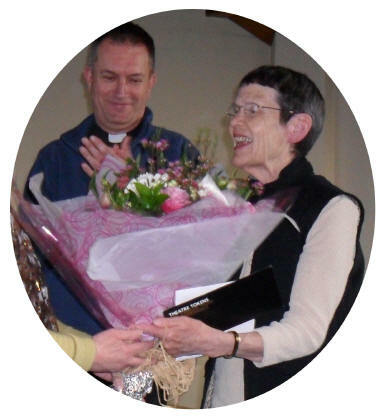 Sue Bolton has served the maximum continuous period allowed under Church Representation Rules, but will continue until 31st July 2011, when she must stand down for at least a year. With responsibility for St Mary’s – Margaret Holman and Mary Turner. I hope to express this report as clearly as possible, so I ask you to bear with me and read it carefully; it was not easy to condense it to one article. It is vital to state that the aim of the open Deanery Synod meeting on 5th April was to discuss the proposed legislation to go to General Synod for ratification, NOT to discuss whether women should be bishops or not. That matter has been agreed. There are two ways forward. The first is to ratify the draft legislation as it stands; the second is to reject it in its current form and then the General Synod should consider the objections and re-draft it in a form which would be accepted. It is important to say at this point that the Archbishops’ amendment which did this was, at the July 2010 General Synod, passed by the House of Bishops and the House of Laity but turned down by a very narrow margin by the House of Clergy. At our open Deanery Synod meeting on 5th April there were two speakers invited to explain why, in their opinion, the current draft should be accepted or turned down. We were not obliged to vote. If we did, it would not be binding at Diocesan Synod level but would only be to assess what the majority present felt should be done. The Rev Leonard Doolan, Vicar of Cirencester, spoke for acceptance. He felt that the existing scheme of ‘flying’ Bishops Ebbsfleet and Richborough, who care for those who do not agree with the ordination of women, should not continue because it was divisive. He felt there should be one ruling for all. 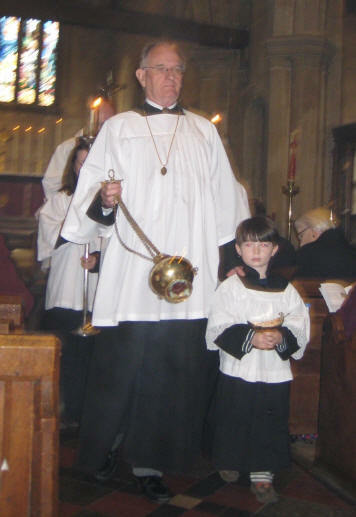 All priests must swear their oath of Canonical Obedience to the Bishop of the diocese in which their parish stands. He felt that the promise of an established Code of Practice (as yet to be debated, written and agreed by a future General Synod only) should be enough to satisfy all. This Code of Practice, although legally established, would say that it was at the discretion of each Diocesan Bishop to implement it. At diocesan level it would therefore only act as guidance, not as enforcement. The Rev Stephen Wookey, Vicar of Morton-in-Marsh, spoke against the current proposed form. When it was agreed that women should be ordained, it was agreed that ‘Two Integrities’ should be allowed. Those men who were in favour of women ordinands swore canonical allegiance to a bishop who ordained women, those who were not could do so to one of the ‘Flying Bishops’. The same applied to bishops. If they felt they could not ordain a woman, then she could be ordained by a bishop who did. Under this agreement, priests from both Evangelical and Anglo-Catholic sections of the Church of England have worked happily and now run many large and successful congregations, doing an enormous amount in community outreach and evangelism in many needy areas. By refusing these men this option they are potentially lost to our church as we know it because they would no longer be able to swear that oath of obedience. In conclusion he felt that it was not possible to ratify legislation when a major chunk of it, the Code of Practice, was as yet unwritten, and even once it was written would not enforce rules across all dioceses, only offer suggestions to bishops. He felt the Church of England’s great strength was its tolerance and inclusiveness and this was now to be lost. A vote of Deanery Synod members approved holding a vote on the draft legislation by Deanery Synod members and a second vote by everybody present. In both cases, the draft was rejected. A following motion requesting further amendment at General Synod has been submitted in writing to Cheltenham Deanery Synod. I expect our next Deanery Synod meeting in June will deal with this. It was officially recorded that a vote on the requested following motion had inadvertently been omitted. If you have stayed with me to the end of this article, thank you for your patience. If your child or grandchild would like to serve at St Mary’s or St Nicolas’ on a Sunday morning, please contact one of the servers for more details. On Sunday 27th March thirty-six adults and sixteen young people attended PPY’s Annual General Meeting. The evening opened with worship led by some of the young people from Synergy. In his youth worker’s report Andy Macauly explained how the charity’s aims of involving, supporting and challenging young people had been met over the past year. This was illustrated by two short films about the weekend at Viney Hill. The films, mostly shot and edited by the young people themselves, were very well made and highly entertaining. There then followed a presentation to Tricia Wilson on her retirement from the executive committee of PPY. In 2004 it was Tricia who liaised with the Charity Commission and handled all the paper work necessary to set up Prestbury and Pittville Youth as a charity. Since then she has been its Honorary Secretary and a chief fundraiser. During that time Tricia Wilson raised over £300,000 for PPY by making appeals to various charitable trusts. This involves great determination and perseverance, writing hundreds of letters and filling in countless forms. Fr Michael thanked Tricia for all she had done. The Executive Committee presented her with theatre tickets and flowers and the young people gave her a scrapbook containing pictures of various PPY activities over the years. The meeting continued with the Treasurer’s report, which made gloomy reading. The recent financial situation has made raising funds from charitable trusts much harder. Peter Horn and Jackie Smith were elected to the Executive and Clare Wyatt was elected Honorary Secretary. The evening ended with refreshments organised by the young people. We are very fortunate at St Mary’s to have a team of almost fifty flower arrangers. They give freely of their time and energy to adorn the church with beautiful arrangements beside the two altars. Each member usually also provides her own flowers, and maintains them over a two week period with regular visits to top up the water and remove wilted blooms. At festival times: Easter, Pentecost, Harvest and Christmas, many arrangers take on extra commitments to decorate the other areas of the church, with wonderful results as I am sure you will all agree. You may have noticed that a collection bowl appears just before these festivals! At our recent AGM, the accounts worryingly showed a reduction in donations, but an increase in costs, not only for the flowers, but for oasis and other supplies. May we ask you to consider making donations towards these costs when you see ‘the lady with the bowl’ standing outside church! If you prefer, our treasurer Margaret Waker would be very pleased to receive donations. Thank you all for helping us to maintain the high standards of floral offerings in our church. As some of you may know, I have had to move abroad for the last few months for family reasons. When this was first planned, I suddenly became aware of how much I had become attached to the life I was leading: my home, my worship in the churches of the parish, the people I met on a regular basis. It struck me that in a sense I had become stuck in a very comfortable rut and that I was averse to change because it would be such a challenge. Yet I was returning to my home country, to live in the city I had grown up in, to worship in the church where I had learnt the main principles of my faith, so in a sense these fears were irrational but still very real. It was the awareness that I held so many material things important and necessary to daily life that showed me that perhaps I was not living as Jesus Christ would have wanted me to. And so I came here, and found it very hard to get used to the changes in culture, in ways of worship, in people’s attitudes and also naturally missed the contact with friends and familiar places. Certainly a challenge and a huge learning curve! I have met people who have moved me in many ways, and situations which have made me review the way I think and how I see my faith life developing. Right at the beginning of my stay I met again a friend who is blind and has many needs. One of the stories she told me, whilst being amusing, had a much deeper meaning too. Pato, as she likes to be called, was attending a Bible study at someone’s house, and needed a car to take her home. One was called, and soon the doorbell rang and someone went to answer the door and returned saying in English, ‘Jesus has come to fetch you in a blue car’ (Jesus is a fairly common name in Spanish). Pato was quite taken aback, much to everyone’s amusement! But how would you feel if the doorbell rang and Jesus had come for you? What thoughts would race through your head? My initial thought was, ‘I’m not ready!’ It is all very well being told that we should always be prepared, ‘for the Son of Man is coming at an unexpected hour’ (Luke 12:40) but how hard to follow for most of us! My time away has shown me that it is God’s creation in all its glory which is far more important than how many new material items I can amass. That there are people who live simple lives in conditions which would appal many and yet who appear to enjoy life far more than many who have much. Worship can be basic but just as real, with people who have little to offer but their hands and hearts, and a constant care for those who have less than they do. That beauty is not just skin deep and dependent on which face cream is used, but comes from the soul and shines through in spite of suffering or poverty. A North Cheltenham Team Pilgrimage to the Shrine of our Lady of Walsingham is being planned for the May Day Bank Holiday Weekend 2012, ie from Friday 4th May until Monday 7th May. To secure one of the 20 places booked, please send me a deposit of £10 (non-returnable) as soon as possible. (A further deposit of £20 per person will be required 12 weeks in advance of our pilgrimage.) If anyone would like to know more about Walsingham (the shrine, accommodation, sample programme, transport, cost), please contact me. Booking forms and more details will be available later in the year. Thank you to all who supported last month’s stall. The money raised has enabled us to send £25 each to two charities: MAF (Mission Aviation Fellowship) and the Medical Foundation, which is for victims of torture. Well done everybody! This month’s stall is on Sunday 15th May and we invite the N-Z team to supply the cakes. If you would like to join our baking teams, please have a word with one of us. Can you help? We still need more people to help with the door-to-door collection in Christian Aid Week. The load is not great: delivering envelopes to about 25-30 houses and returning later in the week to collect them filled with donations. 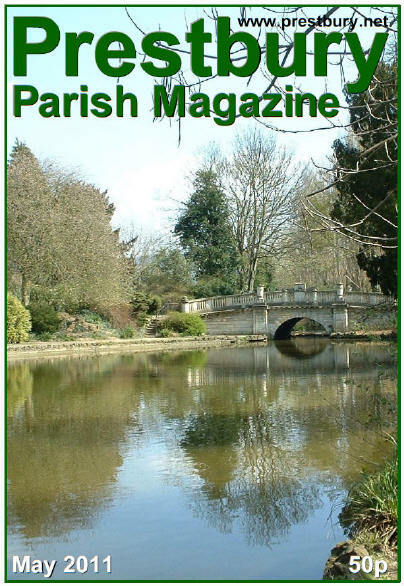 The money collected goes towards the many projects funded by Christian Aid, an example of which is outlined in this edition of the parish magazine. Anyone can deliver the envelopes, but you have to be over sixteen years of age to collect them. On Tuesday 31st May at 12.30 for 1.00pm we meet at Glenfall House for a Summer Lunch Party. Advance notice of an African Fun Day on Saturday 25th June from 10.00am to 3.15pm at Gloucester Cathedral, to raise much needed funds for the Overseas Development Fund, organised by Gloucester Diocese. The day starts with a parade of banners and flags from The Cross; workshops and displays in the Cathedral; refreshments in the Chapter House and stalls in the Cloisters. The day will finish with a short service in the Chapter House. Cheltenham Deanery is running a Bathroom Stall, and gifts of bathroom items will be most gratefully received. I shall put boxes in St Mary’s and St Nicolas’ Churches from the middle of May. Many thanks. 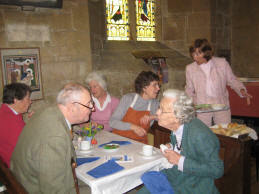 Cream Teas will be served in the Church on both days. This is an extremely popular weekend and I am looking for volunteers to help with the running of the teas in the church. Anyone who can spare an hour or more on a rota would be greatly appreciated. We shall need help during the Saturday morning to set things up and then from 2.00 pm to 5.30 pm on both days. Please contact Shirley Brown. The Parish Fête this year will be at St Nicolas’ at 2pm on Saturday 18th June. We anticipate having all the usual stalls, plus of course the ever-popular Doggy Gymkhana. Any offers of help with planning or on the day would be much appreciated. Thank you to all who organised, helped or attended the lunch at the end of March which was most enjoyable. Particular thanks to Ruth for her time and patience. With Fr David’s help, she raised further donations at Celebrate! for the balloons totalling £15.05. At the lunch we received donations totalling £215, and I have been given £15 in donations since then giving a total of £245.05 before expenses. Once again the Mothering Sunday team at St Mary’s have excelled themselves, so many, and such lovely posies to distribute. A very big ‘thank you’ from me, and from all the recipients. A big Thank You to Lotte and her ladies for providing the many beautiful posies for our Mothering Sunday services at St Mary’s. On behalf of everyone at St Mary’s I should like to thank Lotte for organising the Mothering Sunday posies for so many years. 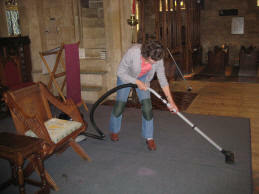 Thank you very much to all those who gave up their time to clean the church and tidy the churchyard on April 9th. 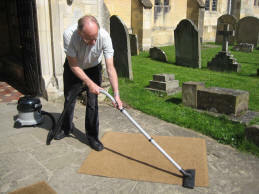 Also, thank you to those who clean and mow all year round to keep our church and its churchyard looking tidy and well-kept. Your efforts are greatly appreciated.